Each convoy can consist of up to ten vehicles. You will be away for just over 2 weeks. Each vehicle has two drivers, so we are looking for duos. All volunteers will need to be or become members of CWUHA. Volunteers will need to provide a Disclosure and Barring Service (DBS) check (previously CRB checks). It is a hard 4,000 mile trip on the wrong side of the road, so you must be confident and competent to drive at least a LWB Sprinter type vehicle and have, or be willing to, undertake training/assessment. Volunteers who are licensed to drive a 7.5 ton vehicle and received CPC training and possess a digital tacho card may be given priority. 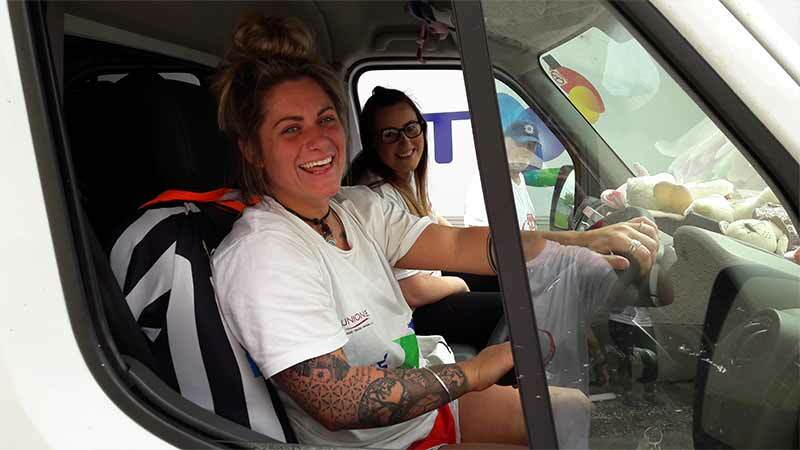 It’s hard but rewarding work, so all drivers must be in good health and have no conditions that would debar them from driving Royal Mail or BT vehicles. If selected you will be provided with a vehicle, fuel card and insurances. It will be your responsibility to raise the funds and aid for your vehicle. You will be given a wish list of the items you will be expected to raise. If you work for BT or Royal Mail you will get paid release for the duration of the convoy, but be WARNED you will have to do a lot of work in your own time i.e. 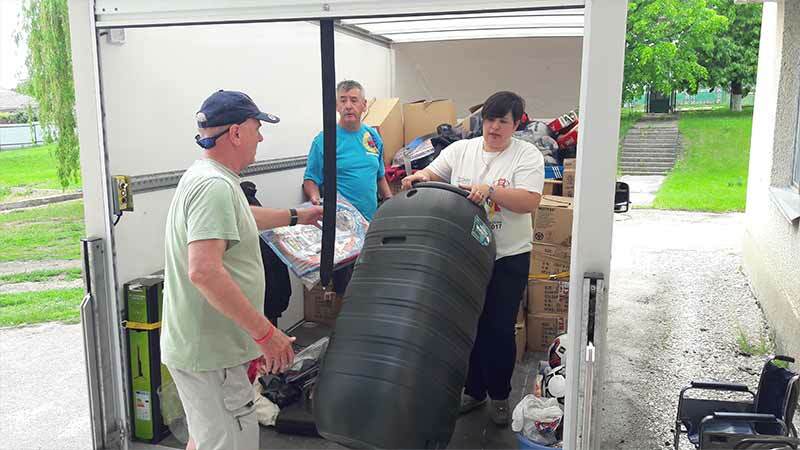 fundraising, collecting/buying aid, packing the aid into boxes, completing a manifest, loading your vehicle, picking up and returning your vehicle from a depot anywhere in the UK. It’s hard but very rewarding work, and your reward is to see the smiling faces of the children. The selection of all convoy participants is at the absolute discretion of the trustees and you will be required to show how you will raise the aid for your vehicle and funds to finance your ferry and your subsistence. The ferry is approximately £550 and you will need at least £600 per driver to cover your hotels and meals. Please fill in a CWUHA Convoy Volunteer Form below or if you need any more information please email Trish Vollans or Carl Webb at . Download the CWUHA Convoy Volunteer Form either as a Word Document or a PDF.